KUALA LUMPUR: Harimau Malaya, who have gained a reputation as a methodical passing team, playing what fans called the “Cheng Hoe-ball” in the AFF Cup, have been urged to do more homework for the final. The “Cheng Hoe-ball” refers to national coach Tan Cheng Hoe’s short passing game. It is also a spin-off from Sarri-ball, a term for the Chelsea manager’s playing style. Veteran striker Norshahrul Idlan Talaha, whose goal against Thailand in Bangkok on Wednesday, pushed Malaysia past the AFF Cup semifinal stage, wants his teammates to do their homework for the AFF Cup final. In the semi-final second leg, Norshahrul’s gloriously struck shot in the 71st minute from the centre of the box saw Malaysia equalise at 2-2, and knock out five-time winners Thailand on away goals. Norshahrul said he and his teammates need to work on their teamwork (Cheng Hoe-ball) before they meet Vietnam or the Philippines in the first leg of the AFF Cup finals at the Bukit Jalil National Stadium on Tuesday. Known to his fans as “Mat Yo”, the striker aims to hoist the AFF Cup trophy again after first winning it in 2010 under coach Datuk K. Rajagobal. Following Norshahrul’s goal against Thailand, he is now tied with Safee Sali and Indra Putra Mahayuddin’s as Malaysia’s AFF Cup leading scorers with nine goals. Mat Yo is three goals shy of Thailand’s Adisak Kraisorn’s AFF Cup record of eight goals. But the Pahang forward is unfazed by all the attention he is getting now from fans. 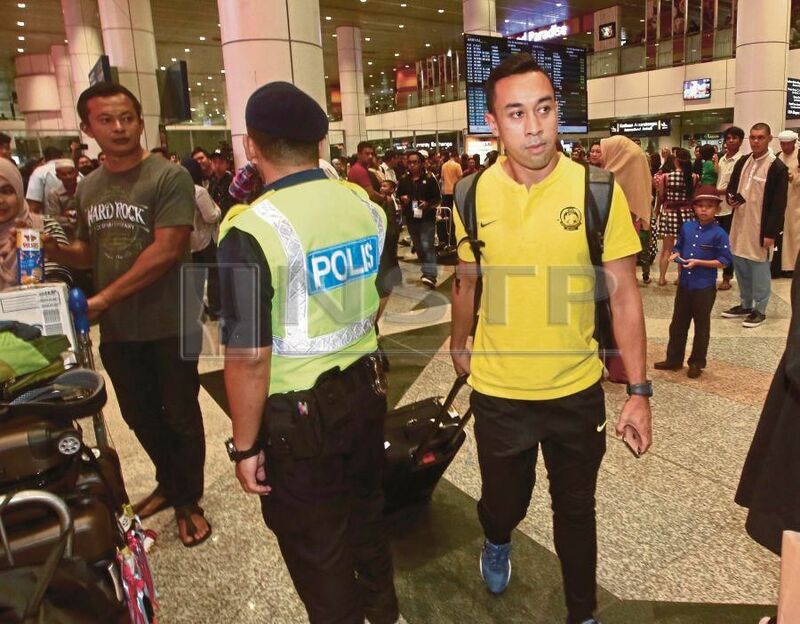 “I don’t care much about anyone’s record as long as we win the AFF Cup,” he said on arrival at KLIA today. “I would like to thank the fans who came to Bangkok, and for the rest, please come again for the final, we could really use your support,” he said.